Follow these tips and you can experience a smooth and hassle-free roof replacement project. 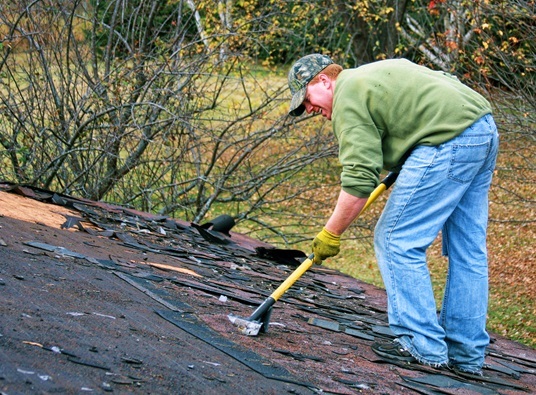 Replacing your roof can be a complicated and stressful experience if you don’t prepare. That’s why here are five things you should avoid when planning a roofing replacement. 1. Don’t work with an inexperienced contractor – Your choice of contractor greatly affects your roof replacement’s chances of success. An inexperienced contractor can’t guarantee that they know how to anticipate problems, plan a detailed project, or stick to the schedule. On the other hand, as one of the leading roofing companies in Northern Virginia, we can ensure your peace of mind. We have plenty of experience under our belt. 2. Don’t start a project without having an idea of what you want – Your roof replacement will go by much faster if you research on your possible roofs. If you know what features, colors, and designs that you want, it will be easy for us to find you the right roofing. As an expert in Manassas roofing, our company can provide you with a variety of roofing products and designs. We can easily help you choose the best product for your needs. 3. Don’t stop communicating with your contractor – Home improvement projects require constant communication between the homeowner and contractor. We need to keep you updated on the status of your project. We will ask for your decision and opinions on many aspects of the job. When we work on your roofing in Manassas, we will make sure to schedule regular meetings and always keep in touch. 4. Don’t panic – While it’s true that roofing replacement can be complicated and a significant investment of your time and resources, it doesn’t have to be daunting. All you need to do is to work with an expert contractor like us, and have an idea of what you want your new roof to be. We will handle everything, stick to the schedule, and keep you up to date. As an established company, we can provide you with local references for your peace of mind. Peak Roofing Contractors can help make sure that your roof replacement goes off without a hitch. We have many years of experience, and we pride ourselves in our unmatched workmanship and service. We always listen to our customers’ needs and concerns — during our initial consultation, we do our best to help them craft a plan for their roofing replacement. Give us a call to learn more about planning your roof replacement, or to get a free estimate.